Let’s suppose you attend the first orientation of a new club. Strangers are sitting next you, and the only thing you know about them is that they are joining the same club. In time, you have time to introduce yourself to each other and provide details such as name, age, major, and so on. However, there are some students who share their hobbies with others, but do not share personal information like names or age. These students share the same hobby and maintain relations at a proper distance in the club. They are members of the newly revived salon culture. 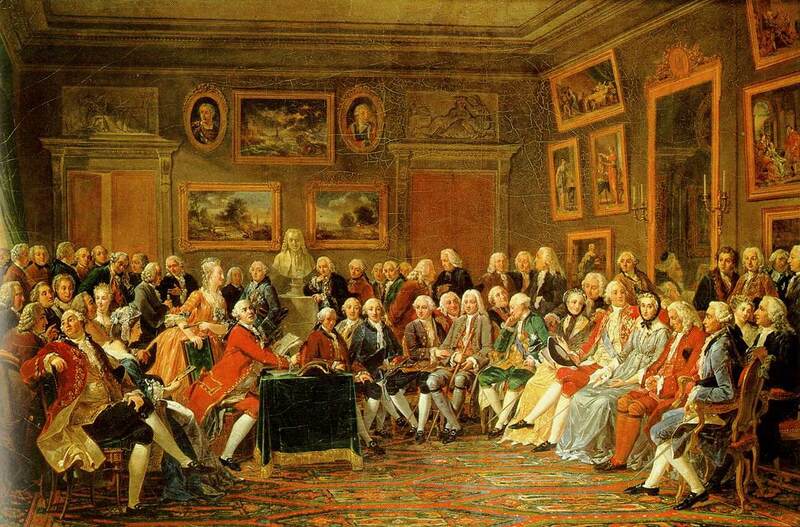 Salon culture is a social gathering where intellectuals and artists gather to discuss and share knowledge that took place in France in the mid-18th century. Salon means room in French, but in Korea, it has a negative nuance because the image of a salon is dark because of the place of gisaeng (Korean geisha). However, in France, a salon was not simply a place of social gathering or entertainment. Salons in France were forums without gender or status discrimination. It was a cultural space that served as an intermediary for culture and intelligence. Recently, this salon culture has started to grow in Korea among the 2030 generation. 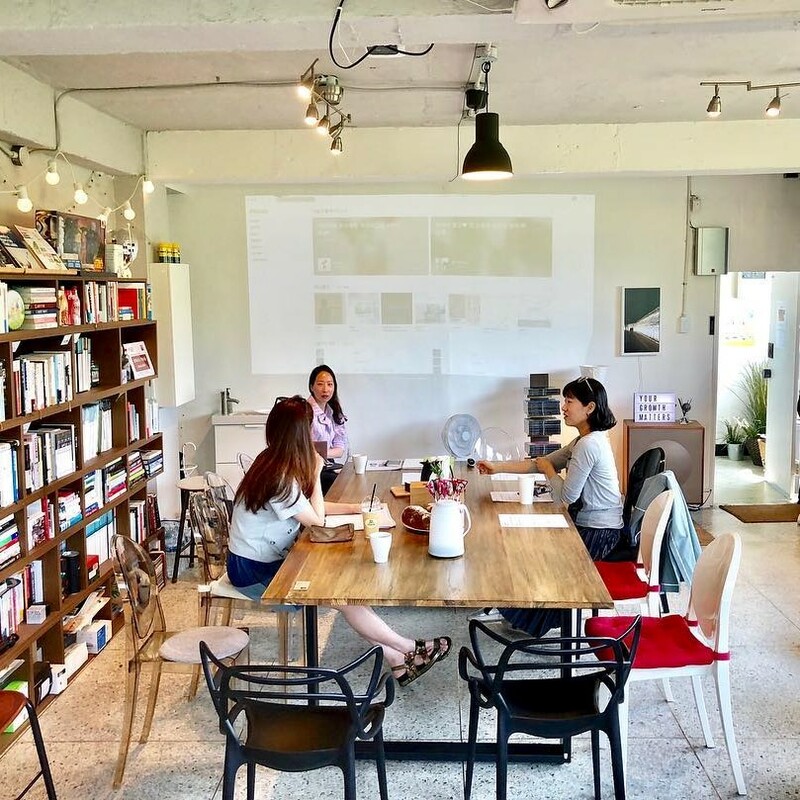 Because each person has their personal interests, the theme of salon culture in Korea is diverse, and the range of people participating in them is growing as well. In other words, the salon culture of France has been modified to meet the needs of Korea. What aspects of the salon attract Koreans? The aspects are in the word salon itself. S infers Space. Each salon culture is organized according to a place called Azit, where any member can go there at anytime. The second letter A stands for Anonymous. At the gatherings, participants don’t need to reveal their name, age, or occupation. They only reveal information they are comfortable to tell others. The third letter L means Lots of themes. Topics are on the themes of culture including readings, music, cooking, sports, automobiles, block chains, and so on. The O stands for Open. The salon culture gatherings are open to both members and non-members; that is, non-members may participate in gatherings whenever they wish. The final letter N means Not free. Gatherings require a fee, and the cost ranges from 190,000 won to 450,000 won per season, and the benefits for being part of the gathering also differ. These various elements are what attract Koreans to salon culture. There are three main reasons why salon culture is growing in Korea. First, people feel lonely due to SNS. Recently, many people live apart from others in big cities due to places of work or school, so they are difficult to meet others in person. One of the ways people communicate easily with others is through SNS. However, does SNS resolve one’s loneliness? According to a study by Professor Brian Fremack of the University of Pittsburgh, among 1,787 respondents, SNS users who heavily communicated with others on SNS more than 58 times a week were three times more lonely than those who communicated less than 9 times for the same period.1) Unfortunately, like this result, SNS tends to increase the loneliness of modern people. People make a lot of friends through SNS, but they are only relationships on the smartphone. Also, those types of relationships can be easily created and broken with just one click. They can’t be used as means of solving loneliness. To resolve their loneliness, modern people are looking for offline communities. Literally, offline community is face-to-face conversation, and salon culture is one example of offline community. In other words, now, communication happens not only online but also offline. The second reason is the development of community start-ups. In recent years, enthusiasm among the young for start-up enterprises has soared. They are no longer desperate to find a company job, and they are interested in developing their futures through start-up programs. People who have started to feel a strong lack of real dialogue in life join community start-up to fill the void. One community start-up business connects people who share the same interest. It is called salon culture. As the community start-up grows, so does the salon culture. In fact, the salon culture first began in Korea as a gathering called Trevari, which centered on reading, and it grew through a community start-up. It began with 8 clubs and 40 members in 2015, but rose to 180 clubs and 3,000 members in 2018.2) In addition to Trevari, other community start-up projects have started creating meetings that focus on contemporary topics such as Chwihyanggwan and Passionoil, and the number of these gatherings and memberships in them are gradually increasing. Lastly, people now have time to enjoy cultural activities because of the ‘52-hour-work-week’ policy. Since the introduction of this policy, there has been an increase among 2030 workers to make active use of their leisure time. According to a survey by Korea Culture & Tourism Institute, 51.4% of part-time or contract employees said that their leisure time has increased. It is difficult to say that the increase in leisure time has a direct effect on the activation of the salon culture, but it is related. Because most relationships of people are limited to those at work, it is not easy for people to meet other people who share similar interests. Hence, people are showing a growing interest in the salon culture where most hobby groups gather. 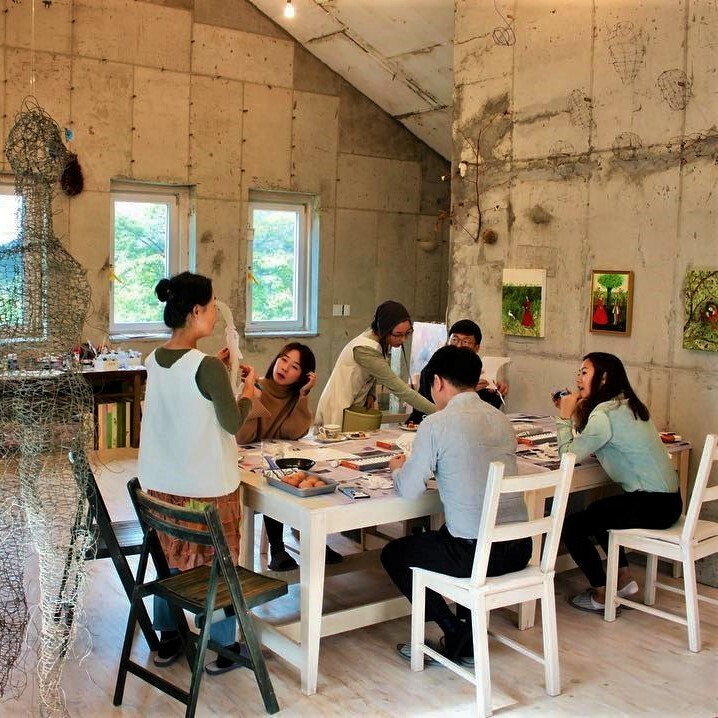 One group called 2gyosi (in English it means Class 2) practices a salon culture with the idea that work is Class 1 and life after work is Class 2. They gather after work to discuss work and the welfare policies at each other’s companies. They enjoy their time together and burn off stress. In this way, they feel their leisure time has gradually increasing and people wait expectantly for meetings that best suit their hobby interests to send their leisure meaningfully. 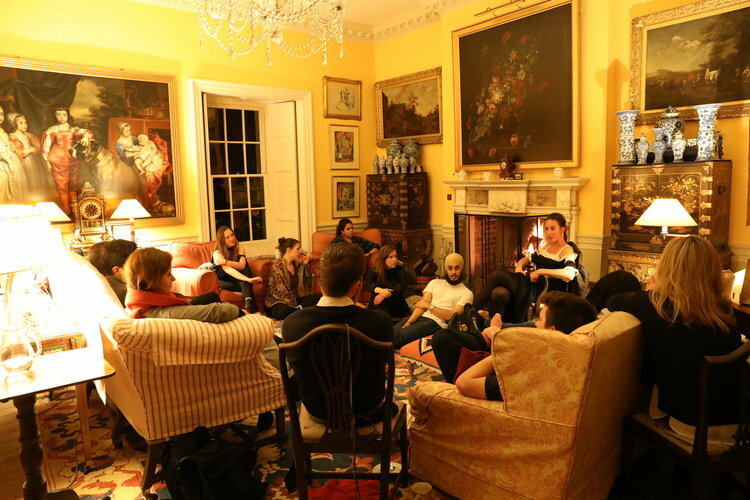 As salon culture gradually develops, the forms and purposes of salon culture gatherings are diversifying. First, the purpose of the salon culture has been changing. As mentioned before, the original purpose of salon culture is to share hobbies. However, recently, people take part in salon culture gatherings to make their hobbies professional. In those gatherings, people with similar interests gather and they select a leader who is an expert in the gathering’s theme to lead the gathering and share deeper understanding of their interests. Also, they share ideas and experiences related to the theme. In the case of the cooking salon culture of ‘Munto’, a famous chief leads the talk of cooking as a leader and provides recipes for other members, while telling philosophical stories about cooking. Like this type of gathering, other gatherings engage in similar activities but focus on classical music, writing, and so on. In other words, people who attend the gatherings are able to develop their hobbies more professionally as well as share their hobbies. Salon culture gatherings are bringing people closer, and these gatherings have become similar to lifelong education classes. Second, gatherings locations are various from azit to one’s home. As mentioned above, one of the most important aspects of the salon culture is space called azit. However, recently, their gathering spaces have been changing. Some gatherings hold at a member’s home without setting up a separate azit. The reason why they meet at a member’s home, not at azit is to share the hobby of the home owner. One of these meetings is called ‘Namezip’, and it is so popular that the official number of Namezip SNS account members was 2,000 on October 15 at 1:00 a.m. Providing one’s home to host brings both joy to the owner and the visitors. Kim Sungyong, who started Namezip for the first time said, “I think curiosity in how other people in the same environment as I live led me to start Namezip. I am especially grateful because there are others who share my interests and customers who enjoy my hobby joyfully.”3) Like this, people share hobbies at home rather than at an azit, which provides people with another cultural space. Through these new types of gatherings, members of gatherings get closer to each other like friends. Third, the generation enjoying salon culture has changed, and it has had a positive effect on beyond the younger generation. The phenomenon is particularly evident in two salon cultures of Japan, one of which is the ‘Parenting Salon’. People gather at one location to care for each other’s children and share information about childcare. In addition, they exchange necessary items for childcare and make joint purchases. The second salon culture gathering is the ‘Senior Salon’. At senior salon culture gatherings, the elderly share their hobbies and help each other. When someone gets sick, they go to the hospital together, share each other’s housework, and go out to do volunteer activities together. Above all, the best synergy is seen on their health. In fact, the number of dementia patients from salon culture gatherings is one third less than those who do not participate in the gatherings.4) By participating in the gatherings, the elderly people in salon culture care for each other’s health and help each other like friends. That is, salon culture has become a trend that all generations enjoy. “I don’t know her name, age, or job. The only thing I know about her is her hobby and stories.” In salon culture gatherings, you first ask others what they like rather than who they are. The places called azit are full of anonymous friends. They gathered in one place to make their hobbies professional, to listen to each other’s troubles, and to sometimes offer each other help. They create relationships that are not too intimate, but they still feel like friends and sometimes family. They just don’t know one another’s personal information like their names, but they grow close in their minds like true friends.